We are closing in on the first quarter and this is the time where we tend to fall off of the new year resolution train. What causes us to give up so early in the year? If you take a look at psychology today, you will find several reasons why people kick their goals to the side less than 90 days post the new year. while there are tons of reasons we move on from our goals one that sticks out and is not mentioned in much. Getting caught in the loop. What is the loop? The loop is when you go on day-to-day only to look up and realize that 6 months of the year have passed and you are doing some of the same things you were doing at the top of the year. The loop is freaking out because you feel a bit of déjà vu and all your conversations and work meetings are starting to sound the same. Basically, the loop is getting caught in the day-to-day grind and mindlessly performing the same tasks, habits, and routines without looking up. How do we stop this from holding us back? we have to first break the routine. You can break the habit of repetitive choices by doing one thing. Journaling. I know, I know this must be too good to be true and without research backing up the power of writing, I would say the same. The reality is that writing down your routine or journalling through a prompt can give you some objective insight on what you are spending your time on. Grab your favorite notebook and pen (make sure it’s something you want to carry around) and for the next 3 days write down what you did each day. Your writing can be as detailed as an hour by hour account of day or as broad as writing down how you feel at the end of each day. The idea is to get into the habit of taking an account of your day. Circle back around and take time to reflect on your journaling. 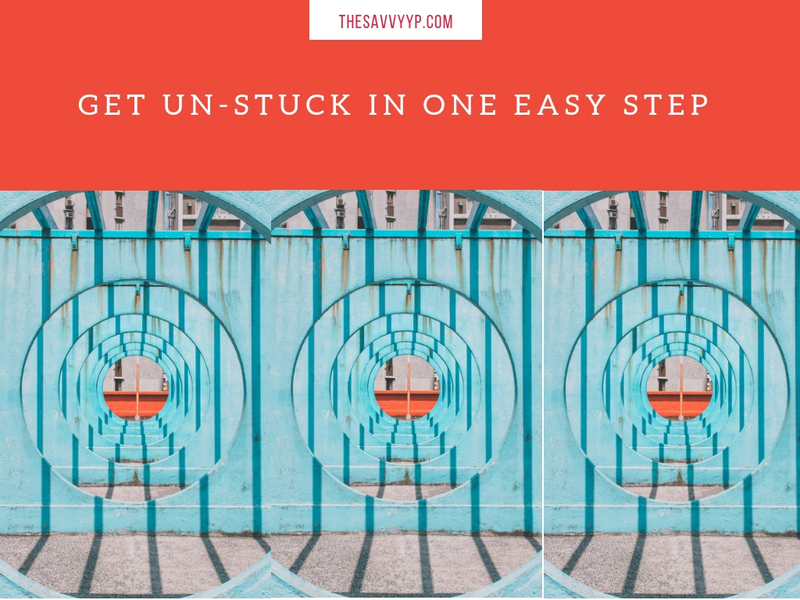 You will find patterns and themes in your journaling that can help to enlighten you on how to get unstuck. For example, you might notice that every day you spend 20 minutes talking to the same co-worker, or the last half of the day you start to feel sluggish. Take some time to reflect on your findings then make a plan to do something different. Change your routine or eliminate habits that take away valuable time. Self-awareness is your greatest asset, especially when it comes to making changes that will get you out of a rinse and repeat loop. Take the 3-day journal challenge and see what changes you can make today!